Governor David Umahi of Ebonyi State has appealed to the Inspector General of Police (IGP), Mohammed Adamu, to suspend the implementation of operation ‘Puff Adder’ security exercise in the South-East state. Umahi made the appeal on Tuesday when the Assistant Inspector General of Police (AIG) in charge of zone 6, Musa Kimo, paid him a courtesy call. The governor noted that the warring communities in Ikwo and Abakaliki Local Government Area (LGA) were peaceful presently. According to him, the government will inform the police authorities whether the exercise was still needed in the state and appealed for one week to determine such. “I asked both communities to give me a summation on how permanent peace will be restored and I can guarantee that there would be permanent peace in the communities. “I urged leaders of both communities to call their warring youths to order and when this is not done, we would collectively execute the operation. “We will shock the places by using police, army and other security apparatus to ensure the safety of defenceless young people and women in the communities,” he said. He, therefore, urged the IGP to suspend the implementation of the operation in the state as he had warned both communities’ leaders of the impending use of force to ensure peace in the areas. “They have done what I asked them to do and the Commissioner of Police can testify that there has been no single gunshot in those communities since. “However, I thank the IGP for his quick response to the issue as the leaders have the capacity to tame the excesses of their armed youths though they are protecting the communities from external aggression. “Help us tell the Cross River Governor to suspend the political office holders from their own side of the conflict as I have done, to make them work assiduously towards lasting peace,” he said. Kimo thanked the governor for the reception and pledged to ensure absolute peace in all communities of Ebonyi, Akwa Ibom and Cross River states under his watch. “I have heard from the governor and will relay the message to the IGP as the governor is the chief security officer of the state. “I appreciate and commend him for his stern position towards security issues as he has always and is still working with us to ensure security. “We would, however, continue doing our best in a professional manner and our intention is to use the Puff Adder operation to declare criminals – persona non grata in the state,” he said. 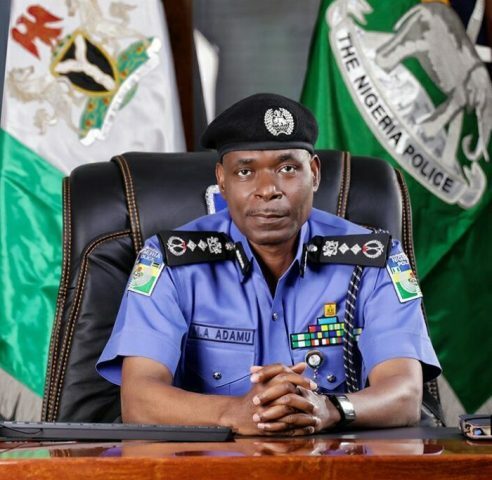 The police chief noted that some arrests have been made by the police in connection to the killing of a Fulani indigene in Izzi LGA and the killing and burning of five members of a family in the crisis between Enyibichiri community of Ikwo and Enyigba community of Abakaliki LGA. Leaders of the warring communities signed a peace accord before the governor as the government revoked the disputed land and shared it among them.